The NST BGN Test Kit contains an impressive array of Radionic blockade filters that provide the clinician with access to a variety of the human organisms operating systems ultimately enabling speedy corrections to be made at the level of the brain, endocrine system, cranial nerves and nerves plexuses. Correcting the radionic filters in BGN test kit in combination with the NST Integrated Test Kit and indeed NST bodywork corrections, enables outstanding corrections in a broad variety of structural, pain, physiological and psychological conditions both acute and chronic, and is a must for all clinicians working with the spine and nervous system and those using an integrative holistic medical approach. The sheer number of conditions that may improve as a direct result of using the BGN Test Kit is indeed limitless and for this reason the test kit may be used to resolve or improve almost any presenting condition whatsoever. However back and neck pain, arthritis, fibromyalgia, parkinsons disease, multiple sclerosis, visual disturbances, balance disturbances, auditory disturbances, TMJ conditions, headaches and cranial conditions, cardiac conditions, reproductive conditions, digestive conditions, chronic fatigue, glandular fever and emotional depression are classical conditions that have noticeably improved as a direct result of using and correcting the radionic frequencies in the BGN test kit. Four main groups of radionic blockade filters make up the BGN test kit as follows – Brain, Glands, Crainal Nerves and Nerve Plexuses. 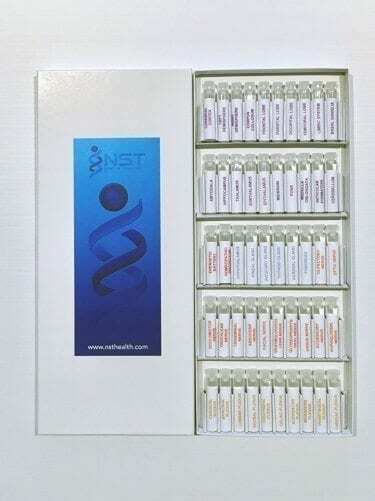 Note: Specific testing and correction instructions are given throughout the NST Deep Cures seminar https://nsthealth.com/deep-cures/ and attending a live seminar is the optimal method to gain information. Note: The test kit also contains two additional frequencies designed to preserve the life and clarity of the frequencies for many years to come. The two frequencies are known as a homeopathic protector frequency and an energetic battery frequency. A brief look at the list of frequencies. Ultimately the BGN Test Kit frequencies detect congestion in the areas they represent and correcting the frequencies simply allows that structure’s function to potentially be restored and normalized. This can lead to a rapid reduction in pain, improvements in physiology and increases in energy all of which are prerequisites if disease conditions are to abate.